We hope you’ve found some answers to your questions on this website. But living with a disease is not something you can do on your own. It can be very rewarding to share your experiences and learn from fellow patients. There’s a very active patient group on Facebook, called “People with pyruvate kinase deficiency”. To join the support group, you can search in Facebook for “People with pyruvate kinase deficiency” (the name of the support group) or just go by the following link. If you’re connected to Facebook, you will be able to ask to join the group. One of the administrators will then add you to the group and you will be able to see and take part in the (very interesting) conversations. The group is only accessible for patients with PKD or relatives (so no doctors, pharmaceutical firms etc). This limitation has been chosen by the members of the group to ensure that each member can share their daily emotions without hesitance. For those who aren’t very familiar with the English language, there’s also a French patient group on Facebook, called “Déficit en Pyruvate Kinase”. Don’t hesitate to join one of these groups. You will find a lot of valuable information, and you will be able to ask every question you have regarding your disease. 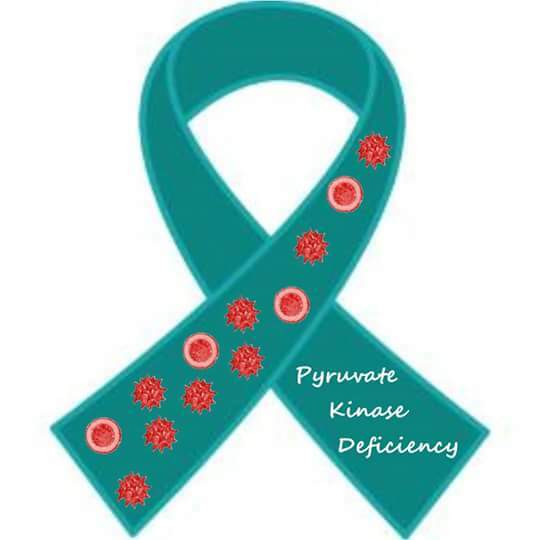 If you know another active support group for Pyruvate Kinase Deficiency, please let us know. I found a group through msm but for a while they shut down msm, I believe, & when it came back on I couldn’t find it. Therefore, I’m pleased to find yourselves, as it can be a lonely place with PKD because doctors & people don’t understand & not interested!